Cinque Donne Regular and Bold add a classic hand-lettered & smooth look to any project. 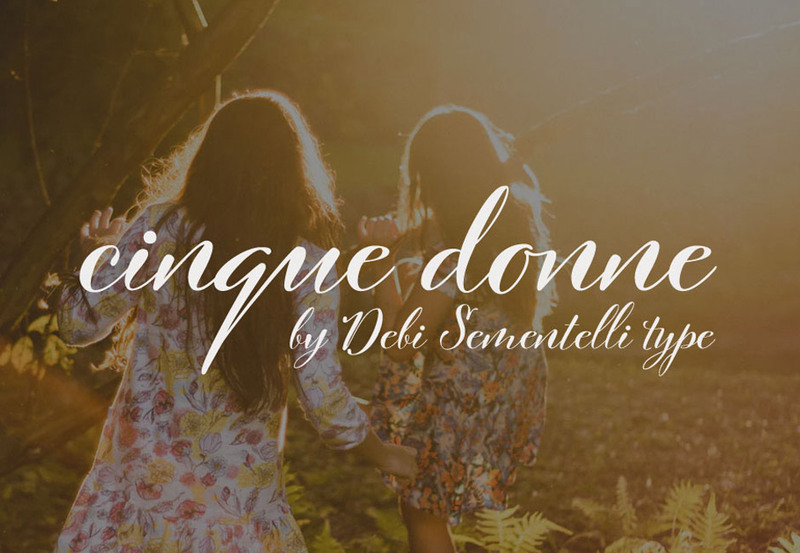 Cinque Donne means “Five Women” in Italian. It was designed by lettering artist Debi Sementelli, who was inspired to create a font to honour all the incredible women in her life. Classic yet contemporary, the letters add a graceful movement to the page. showers, with weddings and greetings cards, also benefiting from this font. With its smooth edges, it also works well in cutting machines and would be suitable for wooden signs, mugs, wine glasses, totes and other commercial products. You’ll receive both the regular and bold versions of the font with this product. File size is approx 352 KB (834 KB unzipped), offered as a single download.